The second article of the Chicago Statement on Biblical Inerrancy (CSBI) deals specifically with the issue of Scripture’s authority. Article II affirms that the Scriptures are the “supreme written norm” to which human conscience is bound, while other written documents, although important, do not possess authority equal or superior to that of the Scriptures. Nevertheless, in his commentary on the CSBI, R. C. Sproul notes that the statements in Article II are not meant to imply that Christians can disregard authority structures or other written norms, for “the Bible itself exhorts us to obey the civil magistrates,” and there are extra-biblical documents that are significant for the life of the church (Explaining Inerrancy, 10). Rather, the intention of the article is to designate Scripture as the highest authority under which all other authorities exercise their authority, and that which Christians are finally beholden to obey if conflict arises between the Bible these other authorities. Each is part of an organic unity, so that even though scripture and tradition are distinguishable, they are fundamentally inseparable. 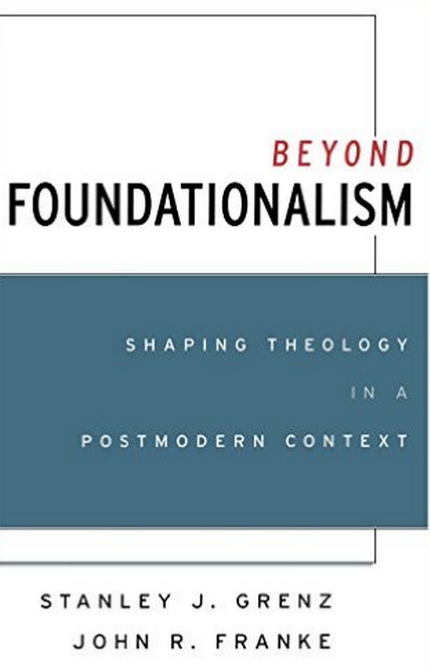 In other words, neither scripture nor tradition is inherently authoritative in the foundationalist sense of providing self-evident, noninferential, incorrigiable grounds for constructing theological assertions. The authority of each—tradition as well as Scripture—is contingent on the work of the Spirit, and both scripture and tradition are fundamental components within an interrelated web of beliefs that constitutes the Christian faith. To misconstrue the shape of this relationship by setting scripture over against tradition or by elevating tradition above scripture is to fail to comprehend properly the work of the Spirit. Moreover, to do so is, in the final analysis, a distortion of the authority of the triune God in the church (117). Although it is true that God has delivered his Word through historical means and incorporated theological tradition as a vital component for interpreting this Word, it is incorrect to place Scripture and tradition on the same plane of authority. It seems that Grenz and Franke have conflated the Spirit’s work of inspiration in Scripture with the Spirit’s work of guidance in tradition. Protestants have typically (with the exception of some radical groups) regarded tradition as one of the Spirit’s tools for affirming biblically faithful theological formulations and correcting wayward ones. God has used the rule of faith/canon of truth (Irenaus, Tertullian), the early creeds (e.g., Nicene, Chalcedon), the writings of Christian theologians throughout the centuries (e.g., Anselm, Aquinas, Luther, Calvin, Edwards, Bavinck, Warfield) and the development of robust statements of faith (e.g., The Westminster Confession, The Helvetic Confession, The London Confession) to help establish sound doctrine in his church and mark parameters within which it can safely practice its theological reflections. However respectful we may rightly be of tradition, which gives a vote to the past, we need to recognize that it is at its most useful in helping us to interpret Scripture. But it can achieve this role satisfactorily only if we recognize that the word of God (even a traditional word of God) must take sovereign priority over tradition, no matter how venerable the latter may be or how suitable it was for a bygone age. The sharpness of the gospel must not be compromised (The Revelation of God, 171). These two works of the Spirit, therefore, must be kept distinct and in their proper order. Although God’s guidance in tradition and God’s inspiration of Scripture are both works of the Spirit, it is correct to claim an ontological superiority for inspiration because its final product (Scripture) is by its very nature qualitatively greater than tradition’s final product (agreed-upon theological formulations). There is a growing tendency, however, especially within contemporary evangelicalism, to disregard the doctrinal consensus of the past and view tradition with a measure of distrust. Instead of using an appeal to tradition to sanction unbiblical practices, “much contemporary church life seems to suggest that we are the first Christians, and that we begin with the Bible and nothing else” (Jensen, 171). Yet, such a mind-set toward tradition forgets that “every Christian is heir to the interpretation of the Bible that issued in the great Christological and trinitarian dogmas. These shape the very nature of our Christianity, whether we know it or not” (Jensen, 171). How important are these theological traditions? Jenson explains, “They constitute authorized, traditional ways of reading the Bible. The Bible stands over them and independent of them in principle, but every generation that passes simply confirms that they are, in essence, the true reading of Scripture and so unrepealable” (Jensen, 171). The Protestant distinctive of sola Scriptura, “Scripture alone,” rejects the “coincidence” and “supplementary” views of Tradition’s relation to Scripture in favor of an “ancillary” view: contrary to popular misconceptions of nuda scriputura, tradition plays a vital role when understanding God’s revelation via Scripture, but the role is “ministerial” rather than magisterial. Scripture is the final authority over, but not the sole source of, Christian belief and practice (“Scripture and Hermeneutics,” in The Cambridge Companion to Evangelical Theology, 35). The balance, then, is found in rightly distinguishing between how the Spirit has worked to produce Scripture and how he has worked in guiding our theological traditions. The former is superior and the latter is useful, and we can thank the Spirit for both.